Another gig to play songs off Indian Head Massage! Come & chase those Monday blues away! 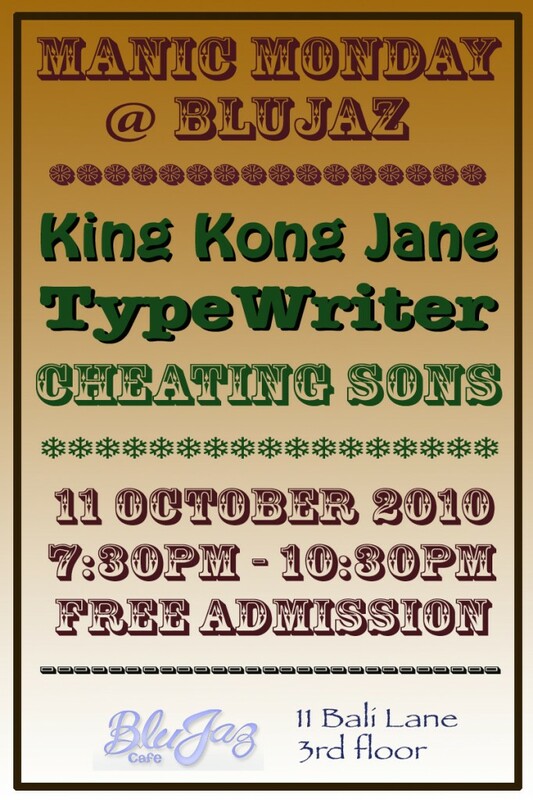 King Kong Jane, TypeWriter and Cheating Sons ‘live’ @ Blu Jaz on Monday11 Oct, from 7:30pm till 10:30pm. Free Admission. Blu Jaz is located at 11 Bali Lane. This gig will be held on the 3rd floor.